A bit of a Throwback Thursday post today. I took this photo the last time we had a clear sky. It seems like forever, even though it was only about 10 days ago! The pounding rains and thick cloud cover have prevented us from being able to see Mt. Hood. I am sure all the foothills are covered in snow now, but there is no end to our wintery rains in sight, so it may be a while before I can confirm the new snowfall. I hope to head up there soon and check out the conditions first hand! Ah, we have had enough GRAY skies lately, haven't we!!! And a glorious view this is indeed, Sarah!! Have a great weekend and stay dry!!! Beautiful view of the Oregon we know and love! 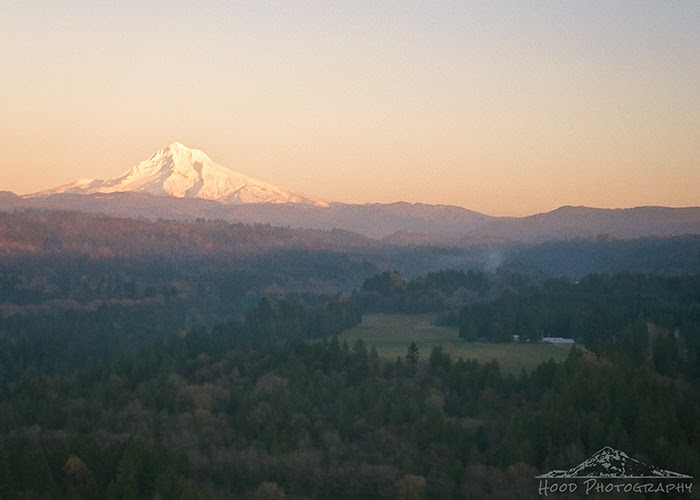 A gorgeous look at Mt Hood. Great sky capture. Happy skywatching, enjoy your weekend! Pretty subtle colors in this sky. What a beautiful and dramatic photo. Have a great weekend.